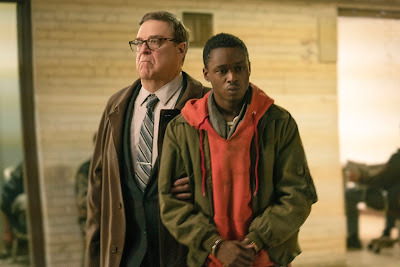 See Captive State now. Don’t wait for the cult to coalesce. You can read the rest of my Variety review here. From my 3.10.19 Variety review: "Arriving more than a half-century after Arthur Penn’s violent folk-ballad Bonnie and Clyde tapped into the zeitgeist and caught lightning in a bottle by portraying the Depression-era gangster couple in a manner that recast them as anti-establishment rebels, The Highwaymen aims to set the record straight with a respectfully celebratory depiction of the two lawmen most responsible for ending their bloody crime wave. Bosley Crowther, among others, likely would have approved of such revisionism. 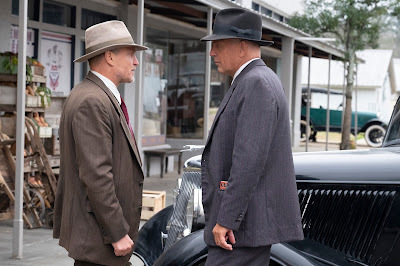 Still, this workman-like Netflix production — set to kick off a limited theatrical run March 15 before streaming March 29 — commands attention less as historical counterpoint than as a sturdy showcase for the neatly balanced lead performances of Kevin Costner and Woody Harrelson." You can read all of my Variety review here. 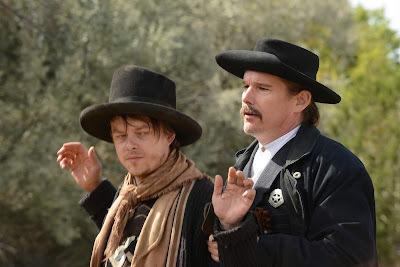 From my 3.7.19 Variety review: "The extended dance of death played out by lawman Pat Garrett and outlaw Billy the Kid has inspired countless accounts of varying authenticity in literature, cinema and prime-time TV, ranging from Sam Peckinpah’s violently elegiac 1973 Western (featuring a singularly hunky Kris Kristofferson as the desperado also known as William Bonney) to The Tall Man, a 1960-62 NBC series which fancifully imagined Garrett (Barry Sullivan) and Billy (Clu Gulager) as frontier frenemies in Lincoln, N.M.
"It’s to the considerable credit of actor-turned-director Vincent D’Onofrio and screenwriter Andrew Lanham that they’ve come up with a satisfyingly fresh take on this familiar mythos in The Kid, a consistently involving and often exciting drama in which the two Wild West icons are presented from the p.o.v. of an impressionable adolescent who weighs the pros and cons of each man as a role model." You read all of my Variety review here, and my interview with Vincent D'Onofrio here. That headline is, I admit, a slight exaggeration. But Luke Perry — who passed away Monday at the ridiculously young age of 52 — really did express high regard for Francois Truffaut while I interviewed him for Cowboys & Indians magazine a few years back. Which, of course, was enough to transform me from an admirer to an ardent fan. But wait, there’s more. Lucy doesn’t realize – at first, anyway — that John’s an honest judge. The bad news: Lucy is being pursued by Cyril Knox (Ricky Schroder), a wealthy aristocrat who wants her jailed. The good news: Lucy manages to convince John to help her escape – and board a riverboat where passengers are encouraged to indulge in high-stakes gambling. 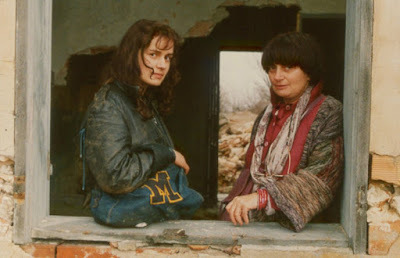 Your lead female character is named Lucy Truffaut – like Francois Truffaut, the great French filmmaker who famously claimed, “Women are magic.” Did you intend this as a kind of wink-wink tribute to him? Perry: Absolutely. Here’s the thing. 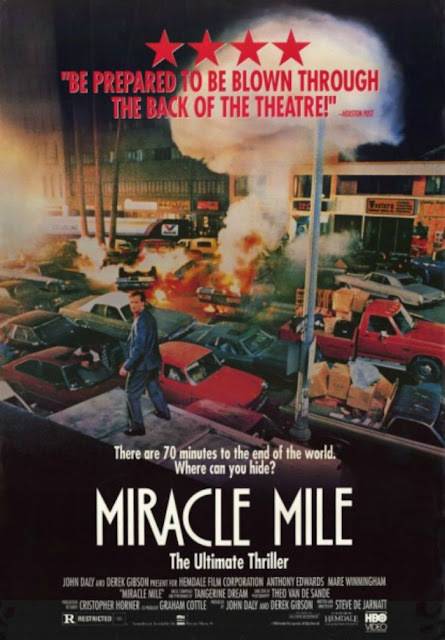 When I sat down to come up with this one, the one sort of request that the [Hallmark Movie Channel] had made was that – well, in the past, I hung a guy, and shot a couple of other guys, and beat up a guy pretty badly in the last one. Hey, a man’s got to do what a man’s got to do. 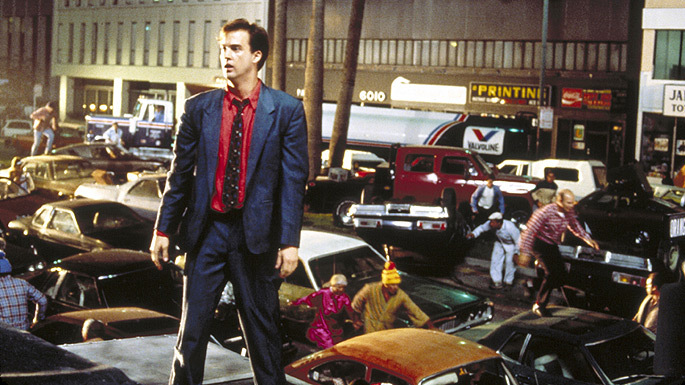 Perry: [Laughs] Well, being the judge and jury and sometimes the executioner, that’s all part of his job. 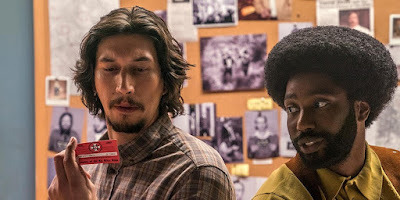 But the Hallmark people said, “Luke, our audience would also like to see you do some romantic stuff.” And at first, I couldn’t figure out what would be romantic about this character so much. But then I thought, when it comes to meeting a beautiful woman —historically, we’ve seen it — that’s when we men make our worst choices. While we’re thinking of ways to woo a beautiful woman, they just get into our heads. And I just wanted to do a story about that. And Truffaut knew all about that. By the way: Has anyone else who’s interviewed you for this film noticed the Truffaut hat-tip? Perry: You’re the only one who’s caught it, you’re the only one who’s asked. And I so appreciate it. No doubt about it, Galveston native Katherine Helmond — who passed away Feb. 23 at age 89 — was an accomplished comic actress in such popular TV sitcoms as Soap, Everybody Loves Raymond, Coach and Who’s the Boss? 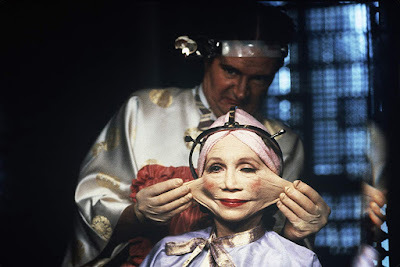 But I must admit: I will always remember her best for her absolutely fearless performance as Ida Lowry, the plastic surgery-obsessed mother of protagonist Sam Lowry (Jonathan Pryce) in Terry Gilliam’s audacious dystopian farce Brazil (1985). After hearing yesterday’s announcement about the Sept. 20 release of Rambo: Last Blood — the fifth and purportedly final chapter in the long-running franchise featuring Sylvester Stallone as troubled yet tenacious Vietnam War veteran John Rambo — I was reminded of a conversation I had back in 2012 at Fantastic Fest in Austin with director Ted Kotcheff (pictured above with Stallone), the director who helped start it all with the original First Blood (1982). 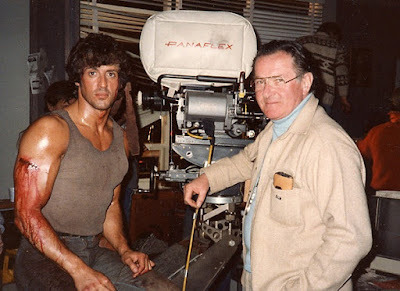 Kotcheff reminded me that he came to the project after it had been offered to other actors — including, no kidding, Al Pacino — and before the fateful decision had been made to keep John Rambo available for a string of sequels, Yes, it’s true: At one point, First Blood was envisioned as a one-and-done melodrama. 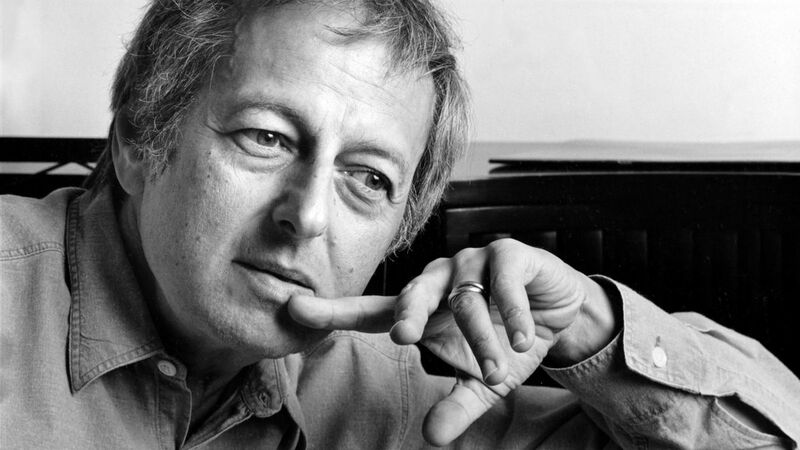 Here are some highlights from my 2012 conversation with Kotcheff. John Rambo actually dies at the end of the novel that inspired First Blood. And I understand that’s also what happened in early drafts of the script. 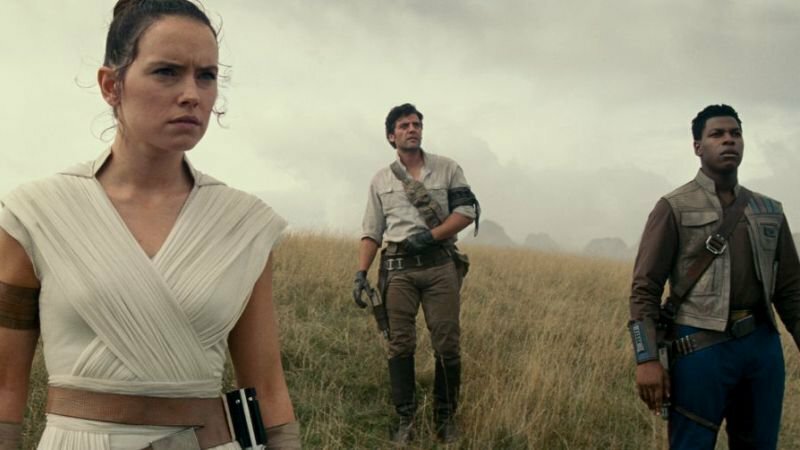 Have you ever wondered what a different sort of pop-culture impact the character would have had if you’d offed him like that – and not allowed him to survive for sequels? What happened was, originally, the movie was conceived as the story of this Vietnam veteran who’d been kicked around from pillar to post. He didn’t feel there was any room for him in American society anymore – he was a piece of machinery that was broken. But then something happens. When he returns to that town where he’d been told to leave, he’s on a suicide mission. This was it — he had to die. Because he didn’t want any more of America. And I take it that’s how the character came across in scripts that went out to people like Al Pacino, who was offered the project before Sylvester Stallone came on board. When I cast Sylvester, we worked on the script together. And thing about Sylvester is – he has a very good populist sense. While we were shooting the film, we had a pretty good idea what it was all about. But we rewrote the ending various ways – something like 16 times – until we came up with the idea that the colonel, the character Richard Crenna plays, comes in there to put him out of his misery, to shoot him. And when he can’t do it, Rambo commits hari-kari. That’s the “alternative ending” you can see on some of the DVDs. It’s really quite shocking in its abruptness. Stallone just pulls the gun while it’s still in Crenna’s hand – and pow! And that’s when you shot the ending where he survives. And I said, “Just leave it to me, it’ll only take two hours, we can shoot this other ending.” And he was like, “We’re already over-budget. We can’t afford two hours of shooting.” But I finally convinced him to allow me to do it. So it was a no-brainer to make the change? All the response cards we got back had things written on them like, “This is the best action film I’ve ever seen, but the ending…” And all you saw were exclamation marks. Every card had the same reaction. So I just turned to the producers, and said, “Boys, I just happen to have this other ending.” That’s how it happened.